MHNHS strives to involve all segments of the community in planning housing and economic development activities designed to preserve Mission Hill’s unique character, improve the standard of living of its lower income residents, and enhance the quality of life for everyone on Mission Hill. The development and maintenance of stable, decent and affordable housing for low and moderate income people is one of the primary purposes of MHNHS. For three decades MHNHS has been a force in the struggle to preserve a vital urban neighborhood. Mission Hill is a centrally located, diverse, residential neighborhood with a healthy economic base where people share a strong sense of community. During the 1960’s and in the early 1970’s the major problem facing Mission Hill neighborhood was institutional expansion. Residents perceived the “institutions’ master plan” as “to buy and take over the residential neighborhood”. Due to this threat and uncertainty in the neighborhood, existing homeowners were unable to secure home improvement loans and mortgages. Residents not only saw their neighborhood rapidly shrinking but they saw it slowly decaying. Under these dramatic conditions the neighborhood organized itself to address these problems. Effective community organizing led by neighborhood residents resulted in a number of newly formed community organizations implementing solutions to reclaim their neighborhood. The birth of Mission Hill Neighborhood Housing Services in 1975 was the result of this effort. MHNHS was charged with providing programs and services that would reverse the economic decline and revitalize the neighborhood. 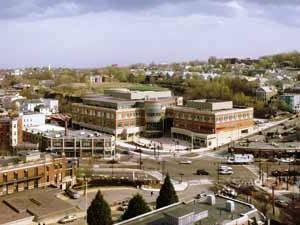 In support of MHNHS’s community revitalization, stabilization and development goals, MHNHS has in its 30 year history secured and invested $65 million of private and public funding in Mission Hill. MHNHS has provided technical and financial assistance to over 1,000 low and moderate income tenants and homeowners, made over $2 million in home improvement loans from the Revolving Loan Fund Program to 200 homeowners unable to obtain conventional financing, assisted 150 first-time homebuyers secure home purchase financing, developed 5 deteriorated multi-family properties into 117 units of affordable rental housing for families and elders. Recently MHNHS completed the largest mixed-use commercial, retail and open space project in the City of Boston neighborhood in over two decades – the Kevin W. Fitzgerald Park and the One Brigham Circle development.